Last weekend’s first ever Astoria StitchFest was a delight. It was a small event, but very nice. The weekend began with a delightful Stitch Feast at the Baked Alaska, right on the river. We had a little show-and-tell fashion show after dinner. 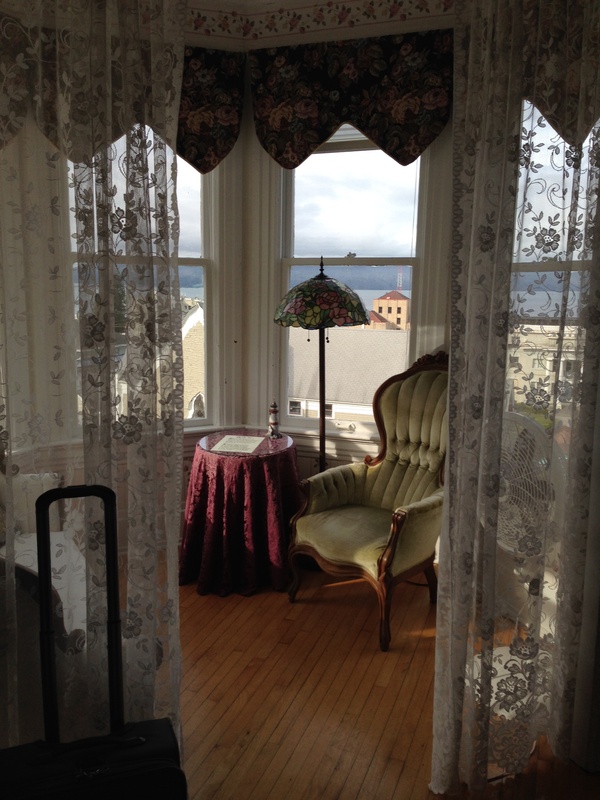 The classes were held in the light and bright rooms above the Liberty Theater, across from the historic Hotel Elliott. Mary Scott Huff and I taught knitting, and Laurinda Reddig taught crochet. I taught Cast On Bind Off, Slip Stitch Cowl Design, and Blocking: It’s Magic. I think everyone went home with new skills. I had a free afternoon, so I sat in on Mary Scott Huff’s Sassy Selbuvotter class. She is a fabulous teacher, and also fun to hang out with! 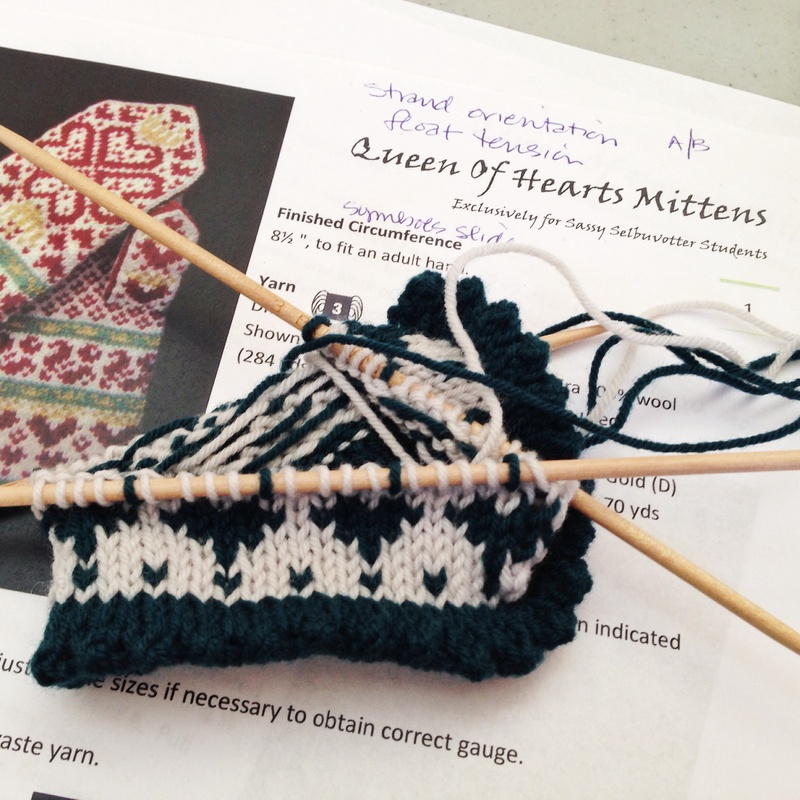 Here’s the beginning of my mitten. Classic Selbuvotter (mittens in the traditional style of the town of Selbu, Norway) have a gusset thumb, but these sassy mitts will only have a slot thumb. I was curious about Norwegian mittens, because I had knit these many years ago. 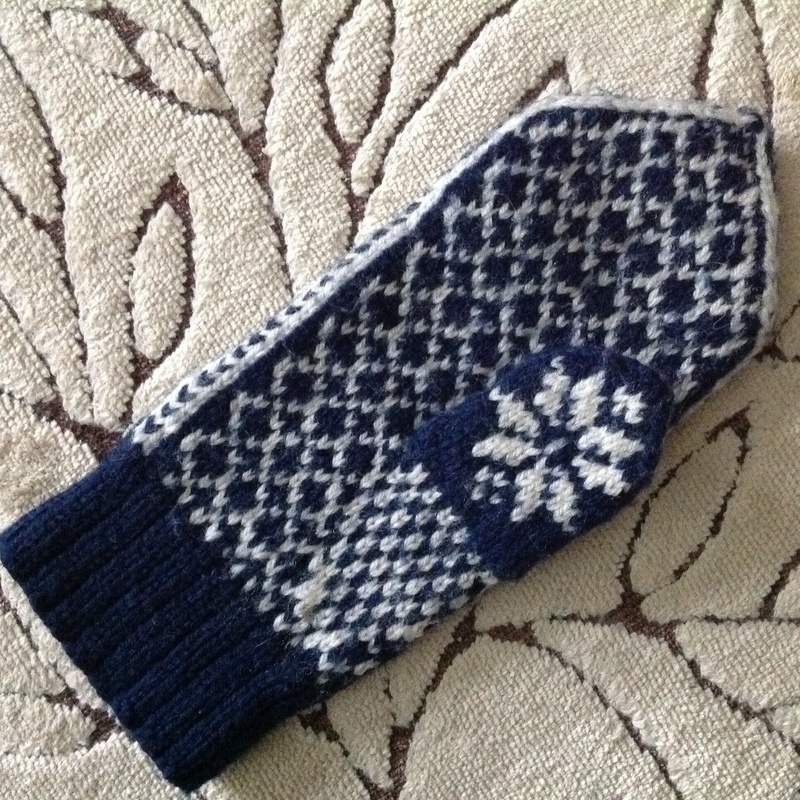 These are the Selbu Mittens from Folk Mittens by Marcia Lewandowski. The have a fake gusset (no increases, just patterning to look like a gusset) and a slot thumb. They’re kind of a mix of thumb techniques. My next Selbuvotter will have a traditional, real thumb gusset, because I like the way they fit! 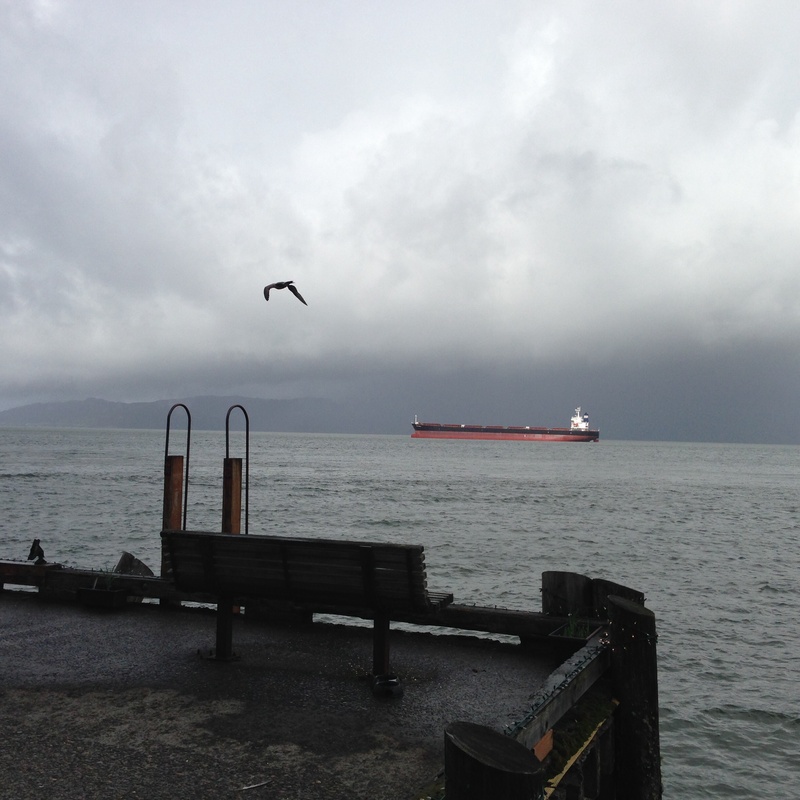 Astoria sits at the confluence of the Columbia River and the Pacific Ocean. It’s a fun mix of the old and the new. I didn’t have a lot of time to explore, but I popped on down to Coffee Girl for lunch on Saturday because my singing buddy Claudia loves it, and used to sing there. 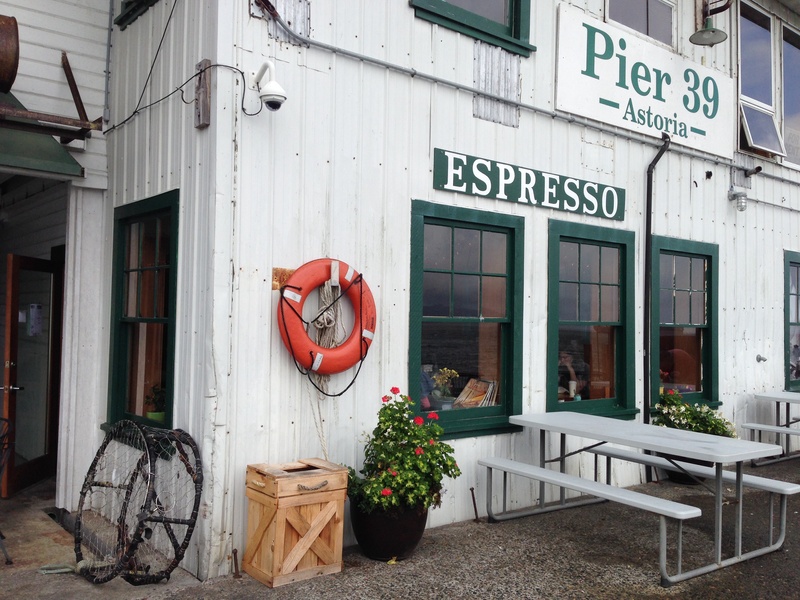 I didn’t realize that Coffee Girl is right on a pier that houses the West’s oldest cannery building. 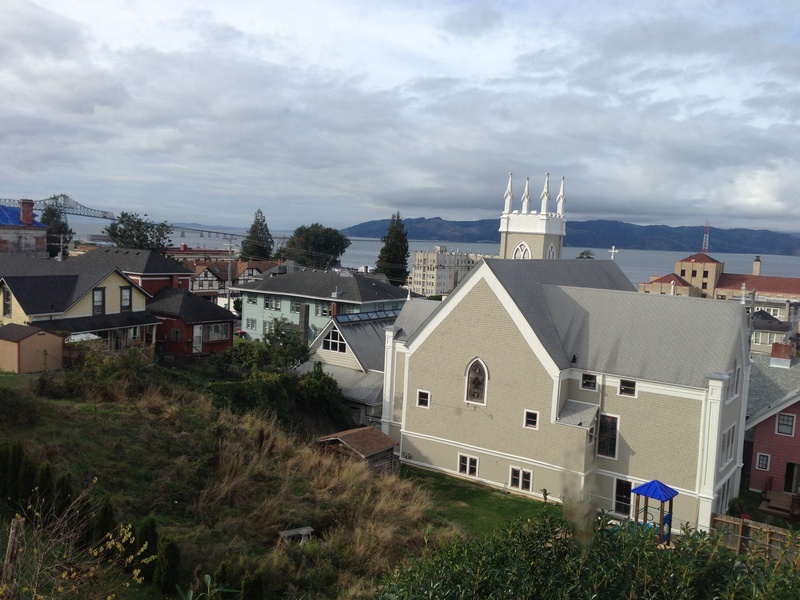 I worked at a salmon cannery on Kodiak Island for five summers to pay for college. 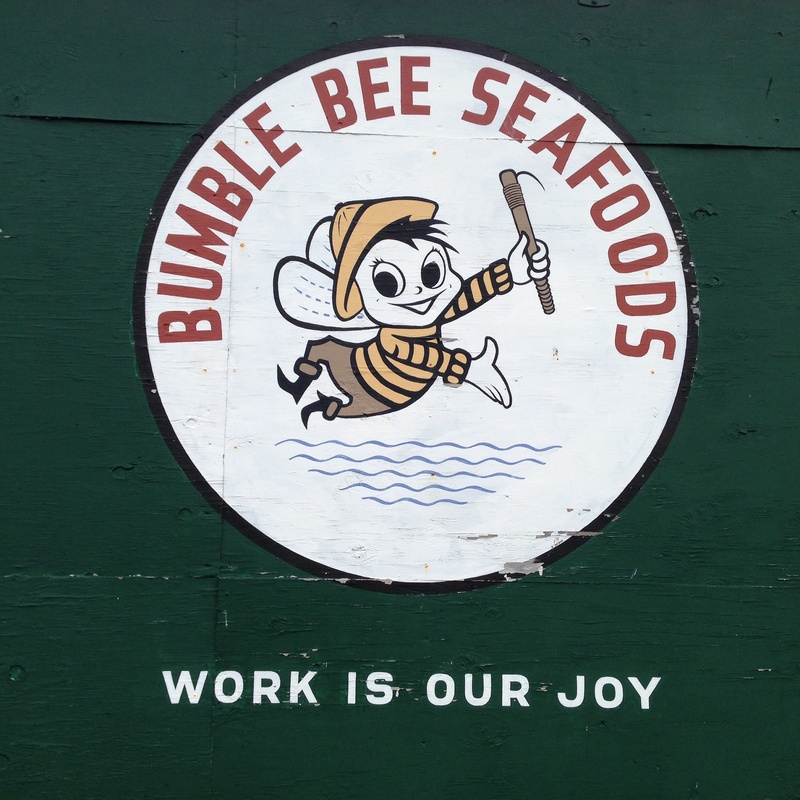 We even canned for Bumble Bee. This brought back all sorts of memories. 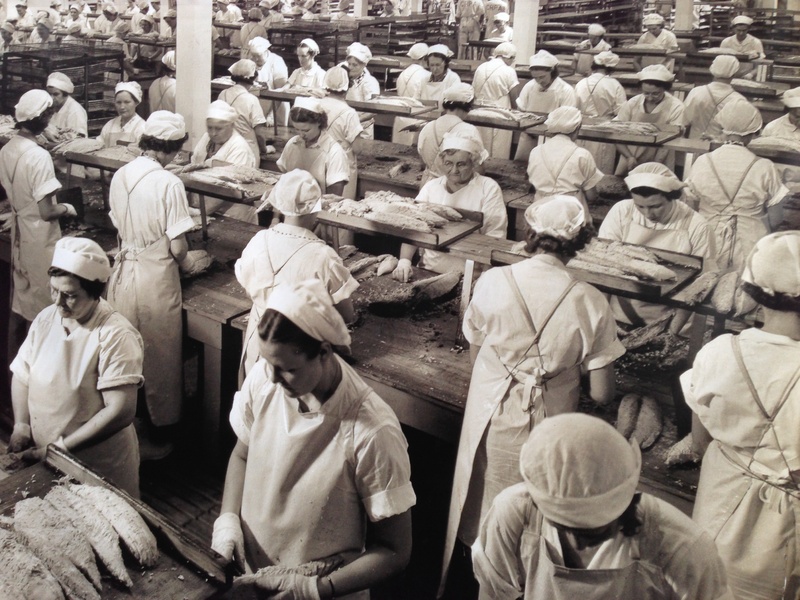 We didn’t look quite like this, but aprons, hair nets, and steel toed rubber boots were the uniform! 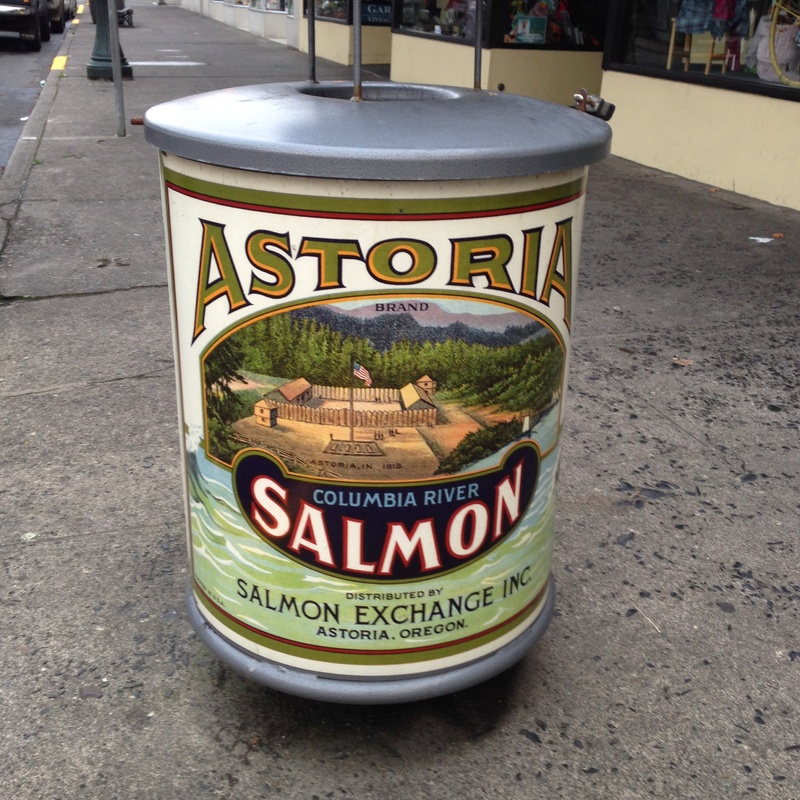 Canneries were a big part of Astoria’s history. Even the waste baskets on the streets downtown acknowledge this. which was a great place to relax. 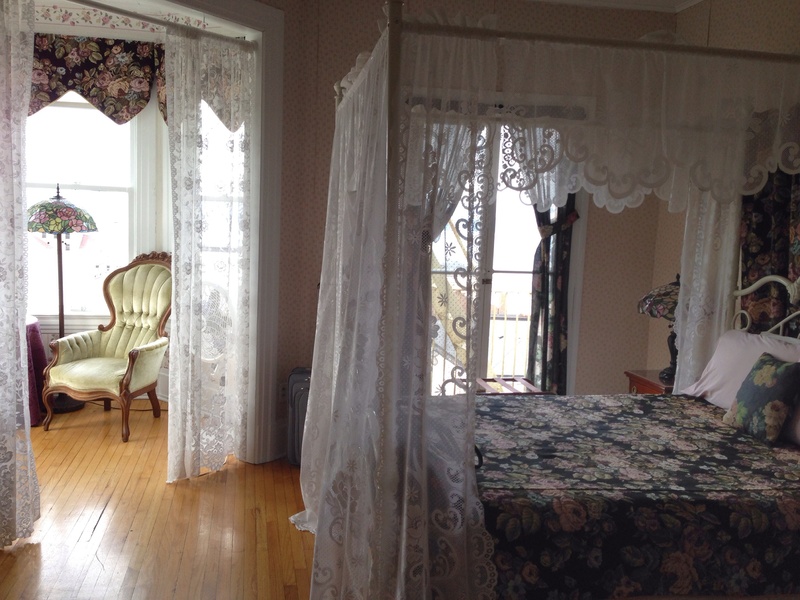 The sitting room had a view of the Columbia River, and the bridge that crosses to Washington. 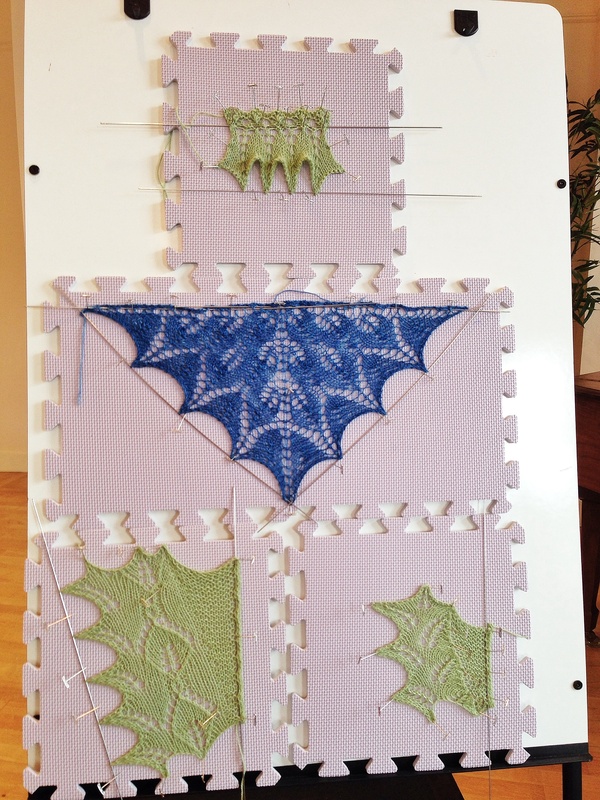 Many thanks to Bonnie Lively and LeAnn Meyer, the organizers of Astoria StitchFest. I had a fabulous time, and hope that all the participants did, too. I’d love to do this again next year, and you should come, too! This entry was posted in events, Knit, travel and tagged Astoria, Astoria StitchFest, classes, Knit, Laurinda Reddig, Mary Scott Huff, mittens, selbuvotter, teaching. Bookmark the permalink. Sounds like a fabulous event! Coffee Girl seems to have changed a lot since we were there a month or so ago! We’ll have to check it out on our next visit! Not sure it’s different; I just walked around outside to the front of it (facing the river). But you tell me; it was my first visit!